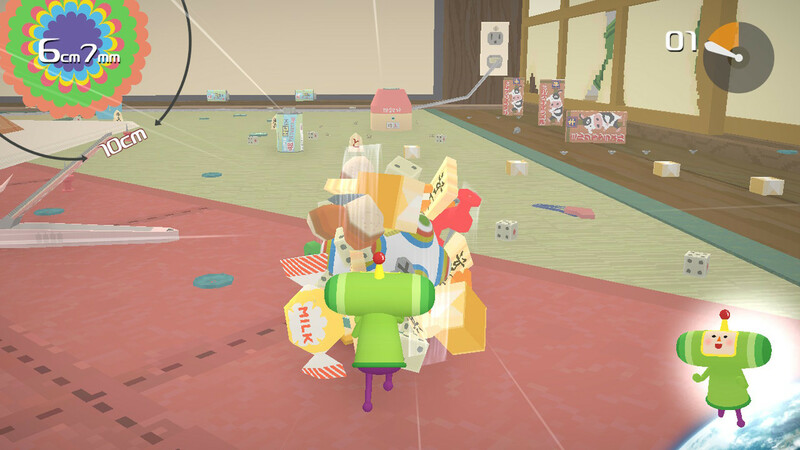 A guide on how to collect all the presents in Katamari Damacy REROLL. about 50cm before you can pick it up. about 50cm to pick it up. turnip very slowly to reach it. behind the jungle gym near the circle of students. This one's pretty obvious. washing machine, tractor, car, dump truck, rock, sumo wrestler, present. knock you out of the way. around the streets past the 1.5m barrier. fast as you can, so you don't run out of time. area. Next to the stream, the present will be sitting between two chickens. yourself up on top of it. present. You need to be about 2.5m to reach it. and roll right into the present. up near a campfire and a small cave thing, which has the present in it.